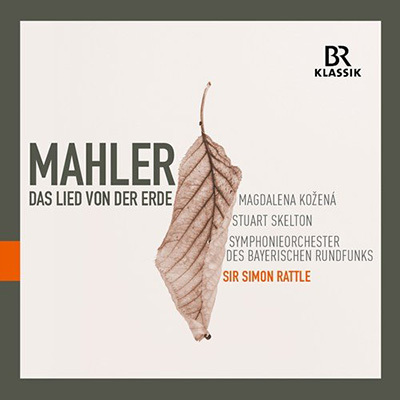 Sir Simon Rattle figures large among these recent releases, a fact perhaps not unrelated to his having completed his incumbency with the Berlin Philharmonic in June this year. On this new BR Klassik CD, he conducts his wife, mezzo Magdalena Kožená, and Australian tenor Stuart Skelton in a powerful live performance of Mahler’s symphony-in-all-but-number, das Lied von der Erde, one of the great masterpieces of classical music. Written between the monumental Eighth and Ninth Symphonies, when the composer’s life was collapsing about him, the work is large in scale and emotionally intense, following a musical arc that runs the gamut from folk-like song to symphonic climax to chamber music-like intimacy. The poems that Mahler sets are translated into German from the Chinese, and there is a hint of the exotic in the musical textures, but ultimately the work is an extraordinary marriage of the two seemingly incompatible genres, art-song and symphony. The live recording catches the immediacy and impact created by some of the world’s finest musicians in full flight; Rattle and his singers and orchestra, the Bavarian Radio Symphony, offer a level of insight that few others can match. Even among the many fine existing recordings of das Lied von der Erde, this one will stand out. The centenary of Leonard Bernstein’s birth in 1918 is highlighted in two excellent orchestral releases, one from the LSO, and the other from violinist Baba Skride (below). Bernstein was one of the first Classical composers to engage seriously with the emerging popular music of the 50s and 60s. Not for Lenny the self-conscious slumming of the off-duty highbrow; like Gershwin before him he felt no need to apologise for this music, and in such scores as West Side Story he blurred the distinction completely. His stage works sit very comfortably halfway between opera and show. It is very likely that you already know some of his songs; I doubt that there are many who don’t occasionally sing (I want to live in) America, or I feel pretty in the shower. Not unlike Bernstein’s earlier show On the Town, Wonderful Town is based on a somewhat farcical play, and is concerned with the response of newcomers to the complexities of life in New York City. The songs are less familiar than in On the Town or West Side Story, but are just as sharp and witty, and jazz-inflected, with a distinct Broadway flavour. 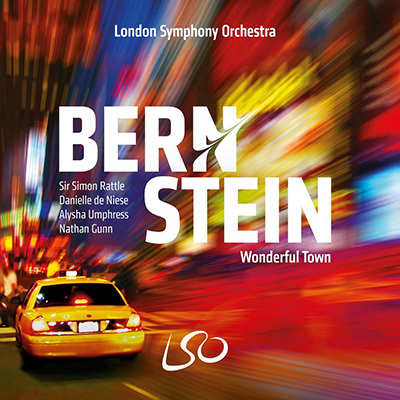 This new live concert recording by the London Symphony Orchestra features Alysha Umphress and Australian soprano Danielle de Niese (“sassy”—the Times) in the cast, and the production is conducted by Sir Simon Rattle, who has shown an enduring interest in American stage works, from Gershwin to Bernstein. Short of a fully staged performance on DVD, this is about as good as it gets. Think of American music and the likelihood is that Copland’s ballets or Barber’s Adagio will come to mind. But alongside the more vernacular musics that America has produced there are also major symphonic and concerto works that are perhaps less well known. Erich Wolfgang Korngold, for instance, not only wrote scores for film favourites like the Sea Hawk and Errol Flynn’s Robin Hood, but also a Symphony and concertos that reuse themes from some of his film scores. 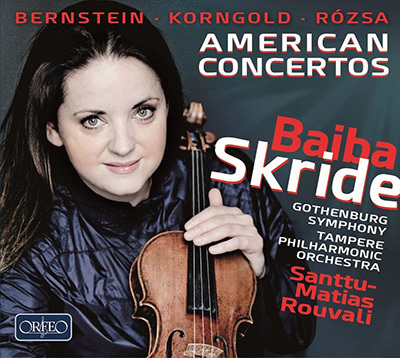 On her latest CD Baiba Skride performs Korngold’s lush, hyper-romantic Violin Concerto, and complements it with another film-score connected Violin Concerto, that of Miklos Rózsa, composer of the music for Ben Hur, El Cid, and many others. The themes from this work may be familiar to any Billy Wilder fans who are familiar with his film the Private Life of Sherlock Holmes; appropriately enough, Rózsa re-used music from the Concerto in the film score. Both works are high-octane music that has a symbiotic relationship with movies, using the same musical language but to quite different ends, and guaranteeing the same kind of luxuriant satisfaction. Baiba Skride chooses to contrast these heavy-weight romantic scores with music by Leonard Bernstein: his coolly abstract Serenade, after Plato’s Symposium, a violin concerto in all but name which, perhaps unsurprisingly, never quite manages to be as earnest as it intends, and the well-known and riotous Symphonic Dances from West Side Story. Bernstein regarded the Serenade as his finest work, but history chose otherwise for his most popular one. Fortunately on this CD we can hear both side by side. For many of us growing up in the fifties Classical Music was exemplified by the sound of a very few composers: Beethoven, Brahms, of course, Schumann probably, and certainly Chopin. Although we are all familiar with the latter’s most famous Waltzes, Mazurkas, Nocturnes, it my well come as a surprise that he wrote an extended and deeply-argued Cello and Piano Sonata that he himself played in the première in 1848. 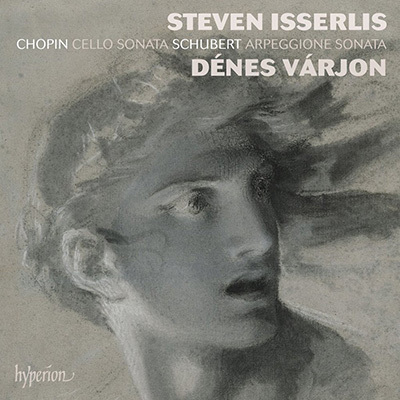 Steven Isserlis’ newest CD puts this wonderful work into context by using for his accompaniment an Érard piano built in 1851, played by authentic instrument specialist Dénes Várjon. For those not used to the sound of nineteenth century pianos it can be shocking to experience the difference in sonority, but this was, as far as we can tell, the sound Chopin heard as he played. It is fascinating to hear the music this way; among other things, the balance between the instruments is subtly recalibrated. Fully half an hour long, the Cello Sonata is a substantial work that deserves to be much better known. It’s Chopin, for heaven’s sake! Filling out this singularly eloquent CD is one of the greatest chamber works of all: the Arpeggione Sonata of Schubert. Originally written for an already-obselete instrument, the eponymous arpeggione that was akin to a bowed guitar with a rounded bridge, this delightful piece has achieved a new lease of life as a work for cello and piano. Isserlis and Várjon reveal both the sadness and the sublimity of the Arpeggione Sonata in their elegant, unhurried performance. 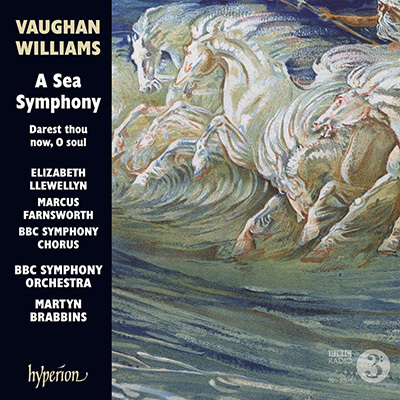 Rightly described as “one of the mightiest of first symphonies”, Ralph Vaughan Williams A Sea Symphony begins with one of the great anthemic moments in British classical music: the great choral surge Behold the Sea Itself! At this stage in Vaughan Williams’ career his music had not yet taken on the pastoral flavour that we tend to associate him with; more obvious are the influence of Stanford and Parry, and the work has an almost Elgarian expansiveness. However, Vaughan Williams had not long before taken some lessons from Ravel and a slight French flavour seeps through in, at least, the harmony. The words are by Walt Whitman, and like many British composers, including Delius and Holst, Vaughan Williams found inspiration in his yearning poetry. Hyperion’s new CD of this large-scale work, performed by Martyn Brabbins and the BBC Symphony Orchestra and Chorus, has a revealing intensity that is matched by the eloquent solo singers, Marcus Farnsworth (baritone), and Elizabeth Llewellyn (soprano). Many conductors have been identified with RVW’s music, including notably Bernard Haitink, Sir Adrian Boult, and André Previn; each has brought their own particular slant to the music. It is rewarding to hear the latest generation of conductors tackle these quintessentially English scores, without nostalgia, but approaching the music anew. After A Sea Symphony Brabbins and crew offer a rare gem: another Walt Whitman setting by Vaughan Williams, Darest thou now, O soul. Once again, not RVW in pastoral mode, but showing his responsiveness to poetry, this work has barely ever been recorded before. It is surprising that there remain unheard corners of the output of even so seemingly familiar a composer as Vaughan Williams, and we must be grateful to Hyperion for unearthing this distinctive work. Norway has Grieg; Finland, Sibelius; Denmark, Nielsen; Sweden, …Stenhammar? Unlike his stellar contemporaries, the significance of Wilhelm Stenhammar (1871-1927) remains underacknowledged, perhaps due to his temperament being less craggy, and more urbane than theirs, but his music has the power and individuality of a first-rate talent. His Second Symphony, after the Serenade probably his best-known work, has a grandeur close to that of Sibelius, and his First Piano Concerto, opening with exactly the same gesture as Brahms Tragic Overture, is both a wonderful romp and an ironic homage, in a fashion that Nielsen might have approved. There is much to Stenhammar; like Sibelius and Nielsen, his compositional tone ranges from the grand and dramatic, to the mellow and charming. On this new CD from BIS, both sides of his temperament are on show, the grand and dramatic represented by one of his least-heard works, the Cantata The Songs, which has only ever been commercially available once before. Large-scale and powerful, this work is symbolically concerned with “the country of those who make music”; appropriately, it also contains sections of remarkable serenity. Also remarkable is the unexpected Handelian flavour of the work, particularly in the second half. The Songs is altogether a rewarding listen. Also on the CD are a Suite from incidental music to Romeo and Juliet, his last completed work, which features a sublimely rustic extended oboe solo, and the exquisite Two Sentimental Romances, short works for violin and orchestra cast in the same mould as Chausson’s Poème or the Massenet Méditation. 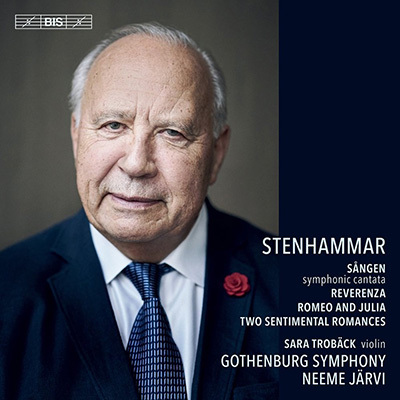 To complete the program, Järvi includes a movement, Reverenza, that Stenhammar discarded from his early Serenade. A very satisfying program. For a long time rather neglected, Stravinsky’s Perséphone belongs to the period of his music usually referred to as neoclassical, which includes such gems as Dumbarton Oaks, Apollo, and Jeu de Cartes. Sometimes referred to as the second Rite of Spring, Perséphone has none of the opulently overheated hammering rhythms and dissonance of le Sacre du Printemps, but is instead a limpidly Mozartian, melancholy work originally intended for Ida Rubinstein’s ballet company. Written for a female narrator, tenor solo, and orchestra, and with a libretto by André Gide (he and Stravinsky didn’t get on!) Perséphone was originally intended for the acting talents of Ida Rubinstein herself, who both danced and spoke the text. Characterised as a melodrama, the piece alternates hieratic dignity and suave elegance in its depiction of the timeless myth of winter, and spring’s rebirth. Ida Rubinstein commissioned a number of famous works for herself to narrate in French, and they all have a particular, rather wistful quality. Perséphone is no exception, and Pauline Cheviller, who narrates the French text, brings her background in both opera and theatre to the role, with tenor Andrew Staples providing the sung contrast. 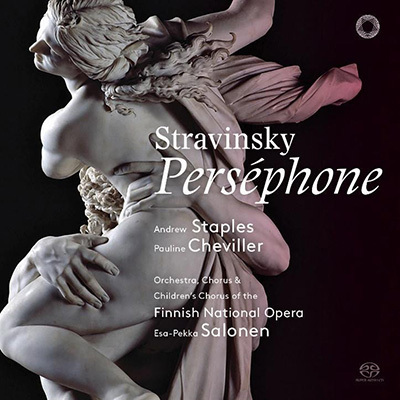 This new live hybrid SACD recording of Perséphone by Esa -Pekka Salonen with the Finnish National Opera Orchestra and chorus, illustrates beautifully the work’s elegant charm. 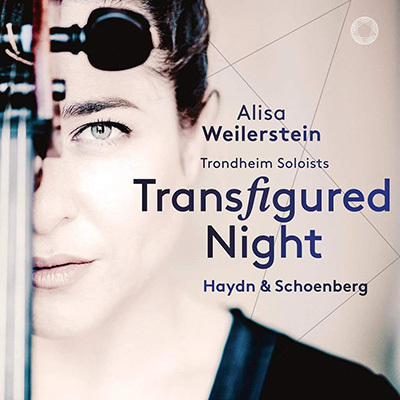 You get the impression that this is a significant release for cellist Alisa Weilerstein, and not just because it is her first album as an exclusive PENTATONE artist; why else try to combine such disparate composers as Haydn and Schoenberg on the one CD? And yet, her reasoning makes sense: Haydn was the father of the First, and Schoenberg of the Second Viennese School of composition. Ms Weilerstein, with the Trondheim Soloists, gives inspired performances of the two Cello Concertos by Haydn, a composer of significant originality whose music helped shape subsequent works for fifty years. Complementing these two sober exemplars of classicism is Schoenberg’s powerful, brooding, essay in musical emotion, Verklärte Nacht —the Transfigured Night of the album title— in its orchestral garb. The Viennese link is crucial: Ms Weilerstein’s grandparents were forced to flee Vienna in 1938, and this CD emerges from this sad fact. Verklärte Nacht is perhaps the key; a work that begins in despair and ends in bright transfiguration, an offering of hope. There is nothing quite like the sound of the Baroque oboe. French composers used it to provide the bucolic flavour required for their pastorales; in the hands of J S Bach it becomes something more, a musical voice of extraordinary expressiveness. This new CD from Collegium 1704, with their director Václav Luks, features oboist Xenia Löffler in three reconstructed Oboe Concertos by Bach, all adapted from existing harpsichord concertos and relatively familiar. This rather dry description fails to do justice to the sheer beauty and plaintiveness of the works in their new (or restored?) oboe garb. Anything blessed by the presence of soprano Anna Prohaska is bound to be outstanding. She joins Xenia Löffler in two compact Bach Cantatas, Ich bin vergnügt mit meinem Glücke (BWV84), and Falsche Welt, dir trau ich nicht! (BWV52), which separate the three concertos, which as well as providing a sublime listening experience, give a welcome change of timbre and idiom. It is a marvellously simple programming ploy, but the effect is superb. Collegium 1704 and Václav Luks have already garnered considerable critical praise for their recording of Bach’s B Minor Mass—the most beautiful recording of this work currently in existence, according to the Rheinische Post—and this flawless new CD cannot but win them new fans. When confronted by the astonishing talent of great performers, we tend to assume that their lives are plain sailing, lubricated by their uniqueness. 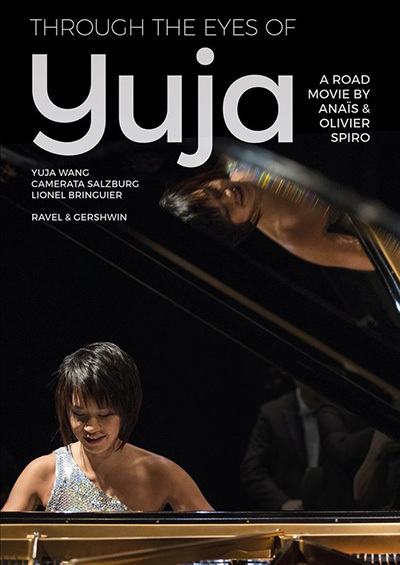 It is therefore chastening to be presented with a documentary by Anaïs and Olivier Spiro about the life of one of the most prodigious pianists of recent years, Yuja Wang. As Ms Wang herself says, “Pianists have to be alone all the time, and it’s hard, it’s lonely. Being a musician is almost like a very isolated life, and the only time you actually get to communicate is on stage with music”. Featuring as bonus material performances by Ms Wang of the Ravel G major Concerto and Gershwin’s Rhapsody in Blue, this new DVD from C Major gives us the chance to appreciate both her onstage accomplishments, and the sacrifices involved in her career. While we can never really enter into the world of someone so singular, we can at least empathise with the constraints that her life entails, and learn to relish her uniqueness all the more. The Chineke! Orchestra is part of the Chineke! Foundation that is a non-profit organisation providing career opportunities to young Black and Minority Ethnic (BME) classical musicians in the UK and Europe. 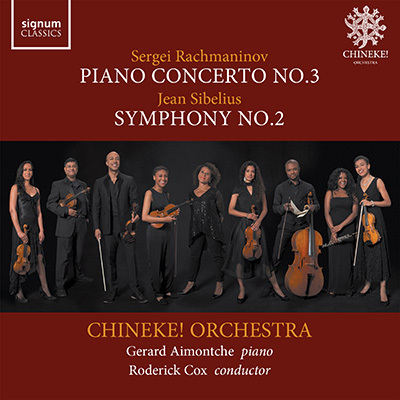 This new CD features the Orchestra in familiar works by Rachmaninov, his Third Piano Concerto, and Sibelius, the Second Symphony. The conductor is Roderick Cox from the Minnesota Orchestra, and the pianist in the Rachmaninov is the much-awarded Gerard Aimontche. Sometimes it is hard to distinguish between good causes and great achievements (and frequently it is invidious to try) but with this CD there need be no ambivalance: this is musicmaking of the highest quality. A CD like this is a wonderful counterbalance to the dark politics afflicting the world just now; that alone would be sufficient to recommend it, but the Orchestra and soloists rise above such considerations and deliver beautiful and distinctive performances of these venerable cornerstones of the classical repertoire. The Romanian George Enescu was one of the most rounded musicians of the 20th century. Alfred Cortot regarded him as his pianistic equal and Yehudi Menuhin sought him out as a violin teacher. Casals described him as “the greatest musical phenomenon since Mozart”; as a conductor, he gave a legendary performance of Bach’s B Minor Mass, with Kathleen Ferrier, Suzanne Danco, and Peter Pears among the soloists. Sadly, even before his impecunious death in Paris in 1955, his reputation had dwindled, but in recent years he has finally been acknowledged as “one of the greatest geniuses of modern music” (Casals). In the post-Ceau?escu era, Enescu’s legacy has finally surfaced in his native country, including, discovered among his papers, a treasure-trove of unpublished works such as two previously unknown symphonies, and the oratorio Strigoii recorded here. 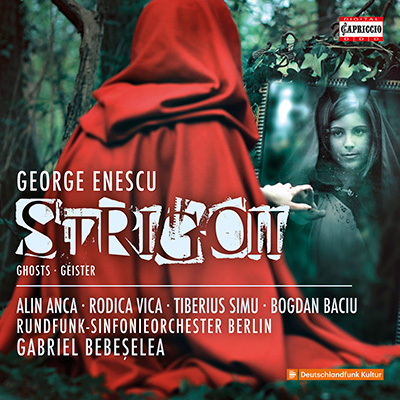 Although he studied composition with both Massenet and Fauré, his music is serious in tone, and Strigoii—Ghosts—breathes the same air as Bartók’s Bluebeard. The narration and singing are in Romanian, which has an engaging and resonant Italianesque quality; a full text and translation is provided. For those who have already succumbed to Enescu’s charms: also released this month is a 3CD set of his Complete Piano Works of played by Josu De Solaun on the Grand Piano label. These works display Enescu’s deep understanding of the piano, his affection for the Baroque, and his interest in Romanian music. Why Braunfels is not more highly regarded is a mystery to me; but then as a German-Jewish composer who stayed at home his opportunities were narrow and his reputation gradually eroded. All the sadder because his music has an accessibility lacking in many of his early 20th century contemporaries, and an almost unique range, from the hilarious witchiness of the early Hexensabbat (Witches Sabbath) to the mellow humour of his most famous work, the Aristophanic opera die Vögel (the Birds). He even wrote a large-scale choral-orchestral Catholic Great Mass that manages to be rich, strange, and approachable all at once. 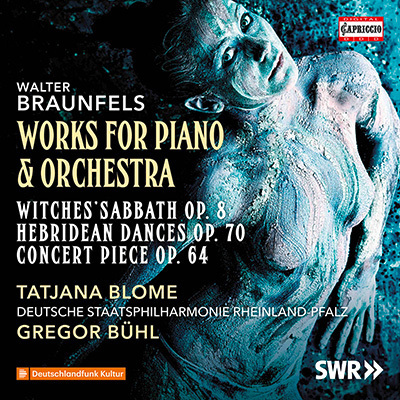 This new CD on Capriccio of his piano and orchestra works contains three pieces, the Hexensabbat from 1906, and two late works from the period shortly after WWII, the Konzertstücke and Hebridean Dances (perhaps not the most obvious subject for a German composer). Predictably, the Witches Sabbath is just a touch unruly and energetic in a youthful way, whereas the two later works have the dignified and sombre clarity you would expect from an elder statesman, who like so many of his generation found himself unfashionable in the radical postwar rebuilding. The pieces were performed a few times when new but slowly vanished from sight for decades, to our great loss. Capriccio are in the process of rehabilitating Braunfels’ works, and this is the fifth release in the series: plenty more to relish if you enjoy this release. 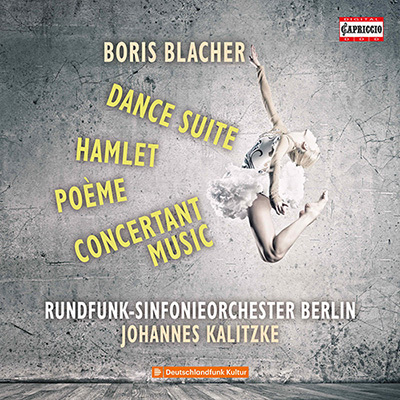 The hat-trick of Capriccio releases of underrated music is completed by a CD of Boris Blacher’s orchestral works. His very distinctive and brilliantly orchestrated works have, inexplicably, not really gained traction outside the German-speaking world; whatever the reason, it is certainly not due tx	any parochialism on Blacher’s part. This CD alone contains a highly effective symphonic poem on Hamlet—one of several such that he wrote—and a very varied Suite compiled from his theatre music, spanning opera and ballet. Particularly pungent is the movement from the Aristophanic ballet Lysistrata, which in a pleasing irony savagely sends up the Rite of Spring—the sacrificial virgin gets her revenge. This is properly adult music that has a multileveled richness and intelligence. It won’t be for everybody, but if you enjoy Britten’s racier moments, or Shostakovich’s Nose, or Hindemith’s Cardillac, this CD of Blacher will give much pleasure. 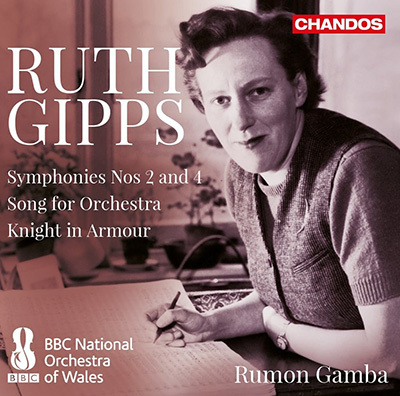 I once saw Ruth Gipps conduct a concert with the London Repertoire Orchestra, an ensemble she founded to enable young professional musicians to become exposed to a wide range of music. In the program was a work she had composed (Leviathan for the challenging format of contrabassoon and orchestra), and in the late 70s to hear orchestral music by a woman live was quite unusual. It is therefore salutary that Chandos are releasing what must be the first CD entirely dedicated to the works of this significant woman musician. Gipps performed at a professional level on both oboe and piano, and as a composer the strongest influence was her teacher, Ralph Vaughan Williams. She considered her symphonies as her greatest accomplishments, of which both the poised and eloquent Second, and the Fourth appear on this CD. Cast in a fairly traditional musical language reminiscent of RVW and Sibelius, her music is both beautiful and deeply crafted. Hopefully this release will help revive interest in her work. Copyright 2018 Select Audio-Visual Distribution Company Pty Ltd.